“Making such a radical change in U.S. policy basically days before Israeli national elections, which are a referendum on Benjamin Netanyahu, very much smells like an attempt to influence the elections,” said Ori Nir, a spokesman for the liberal pro-Israel group Americans for Peace Now. 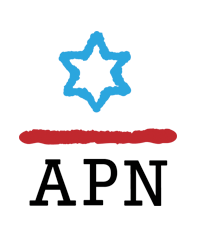 "Trump's Twitter recognition of Israel's Golan Heights annexation does nothing to bolster Israeli security," Ori Nir, communications director at Americans for Peace Now..."It does, however, hinder its prospects to reach peace with the Palestinians and the Arab world. That is bad for Israeli and US national security." Peace Now activists meanwhile demonstrated at the entrance to the Temple Mount against the Jewish tour groups. “We are witnesses to the cynical attempt of politicians from the right to use the Temple Mount as a political tool to attack and ignite a religious war here,” said Shaked Morag, the group's executive director.